Fishing in any sense can be a test of patience. But going after that natural wild trout on a dry fly, well, I had something coming. It's been too long. Since I last fished. Im not as experienced with flies, but I wasn't called "Eddie" for nothing. And oh how I love it. Fishing, unless one needs the food, is an excuse to sit by a rivers edge. All day long. 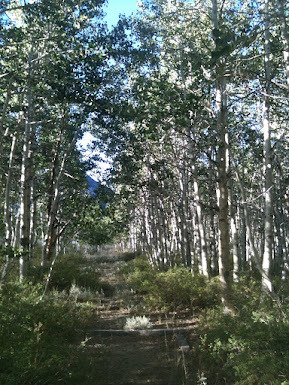 Considering the fir trees, pines, aspens and wild roses, The snags were plentiful. After losing some eight flies, I had one major bump. Maybe smaller ones but one for sure. I missed it. I didn't care. The bump came on a mossy green wooly bugger. The sillier looking the better I heard. Mosquitoes too. And of course the Eatsern Sierras standy-bys: Royal Wulff, Parachute Adams and maybe a beetle or ant. Size 14-16 on a 9 foot, 5 pound set up. A bit long for these tight creek spots but a good overall rod from Orvis' Clearwater collection and a great start for newbies. Well, OK, what a beautiful day to hole away in the Eastern Sierras enjoying God's bounty. 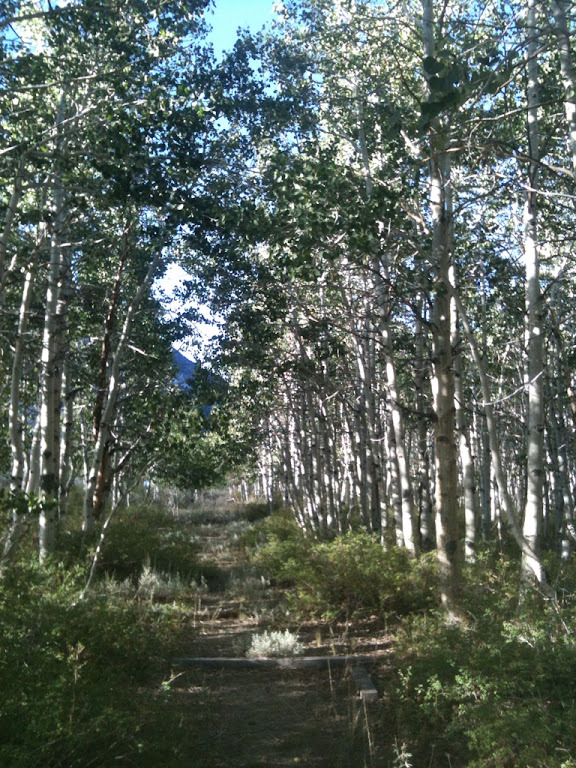 Last month I went to north lake and fished Bishop Creek just north of there. With one parachute Adams, one cast, we caught a beautiful would brown trout. A "five-finger" I call it. The spread of my relatively large hand' pinky to thumb. Big enough to eat. Small enough to put back if one was already set on food. Which I was. And had no desire or need to kill this beautiful little trout. Let him grow up. So now I'm fishing on Bishop creek just below Cardinal Village Resort. In a new location as I havent had much luck outside the cabin. I did hear that someone pulled a couple of stocked rainbows last week. Not my thing really. Would prefer a wild trout. This new spot is sweet. 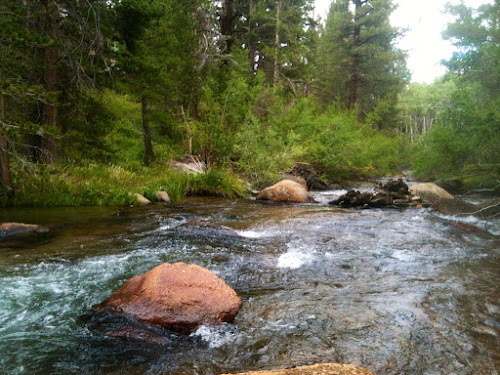 Several pools, protected shoreline, small white water and a shallow tributary feeding in from the south. Scooting on my bum I reach the secluded rocky beach. Just big enough for one person. Hidden from the trail above which is accessed several hundred feet off the road through a barbed wire fence. On several occasions my flies have found their way round a limb or two. And this was no exception. And each time there was a break in the tippet or a fly disengaged a small curse escaped my lips. Then, a glance around the scenery quickly changed the curse to a prayer. A thankful prayer. A small gray blue fly catcher landed nearby. Fascinated in his water behavior I let my fly slip on down the creek, never to be seen again. As I cleared my last snag I pulled the rod apart and slipped it in its case. 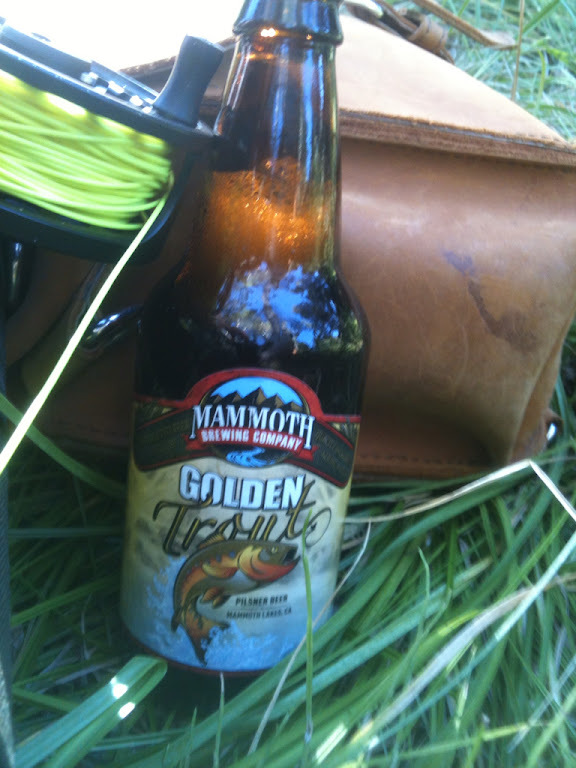 With a Mammoth Golden Trout ale in hand I scanned the area and enjoyed. Life is good. So what does fishing have to do with MS? Everything and nothing. A time to forget the illness. To enjoy life. A patience learned on the river as it is with MS. We are not in control. Let go. Let God.